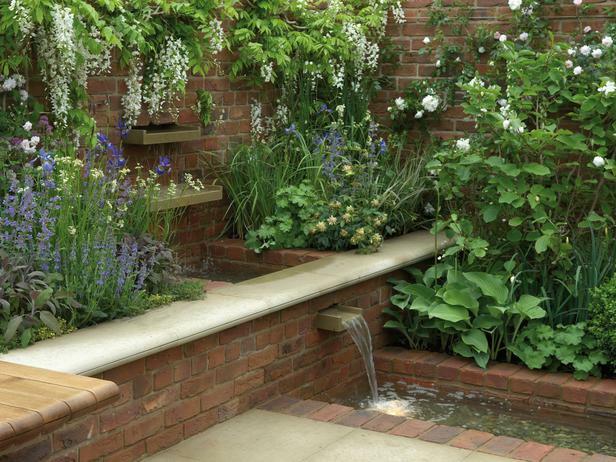 Water features add interest to both residential and commercial gardens. The soft trickle of water that they provide can be extremely relaxing, allowing homeowners to unwind at the end of a long day or helping employees to keep their cool at work. When installing a water feature, there are many practical considerations to take into account. The water must flow smoothly through the feature without leaking out to saturate the surrounding soil, which could harm plants growing nearby. If the water feature is powered by an electric pump, then there are also important safety considerations to take into account. For these reasons, it is important to have a water feature installed professionally. TerraNova Landscapes has plenty of experience of installing and maintaining water features for customers of our London landscaping service. TerraNova Landscapes can create ponds, artificial streams, waterfalls or other types of water features. Get in touch to discuss your creative vision or to ask for suggestions for a water feature for your garden.